Thank you for helping bring Dockwa to a marina near you! You're helping Dockwa grow by giving boaters more marinas to discover. One last step! Keep an eye out for an email from us with details about how to introduce us to the marina. .
Want to share more marinas with us? Email katharine@dockwa.com. 24/7. 35% of boaters submit reservation requests outside a marina's office hours. With Dockwa, those reservation inquiries can happen regardless of your 9-5. On the go. Marina managers love the ability to approve reservations from the docks, from home, or while enjoying their own Dockwa floatplan. 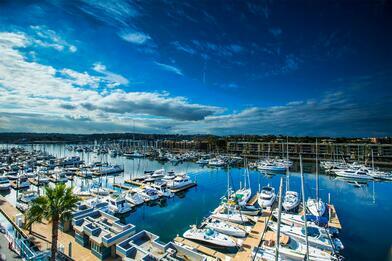 Dockwa helps untether marina managers from their desks. Free as a bird. We live in cynical times, so we're always up front about what we mean by "free." The listing itself is 100% free - no annual fee, no onboarding fee, etc. With every reservation, the marina pays a 3.5% transaction fee – this fee covers the variable 2-4% fee they'd be paying to the marina by running a boater's credit card themselves instead of through the Dockwa platform. With that half a percent the marina gets a ton of marketing support, cutting edge software, and in front of tens of thousands of cruisers. When a boater visits dockwa.com or uses our free app, they rarely book one reservation and call it a day. Dockwa boaters love to explore: the majority of surveyed say they'd reserved at a marina they never would have found if not for Dockwa. 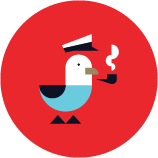 The Dockwa platform simplifies the booking process and helps marinas generate new bookings. With Dockwa, marinas can see how many boats will be at their marina on any given day, plus other details like how many boats fall into a specific size group. In one quick view you can see your entire season, and it is immediately updated with each new reservation. Read testimonials from MacDougalls', Edgartown Harbor, Stock Island Marina Village, and more.